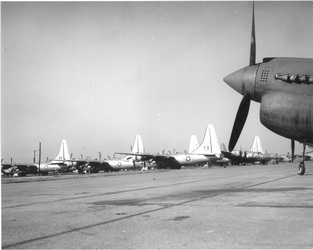 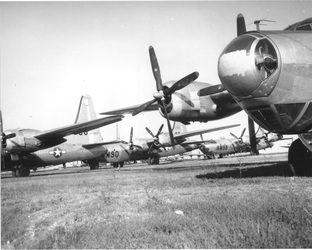 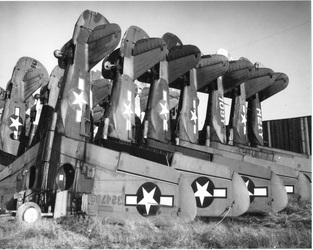 Some called it "The Death of an Air Force"
types, were sold for scrapping. 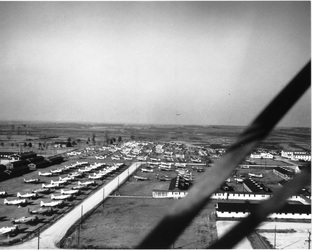 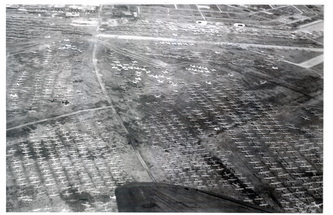 These photographs were taken at Walnut Ridge in November 1945, except the center photo, row 2, was made in the fall of 1946. 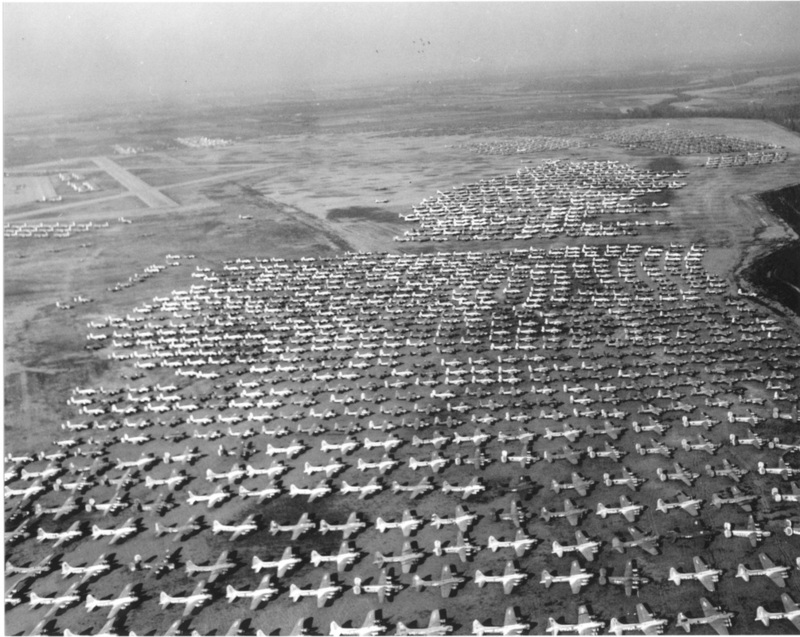 America produced some 294,000 aircraft for WWII. 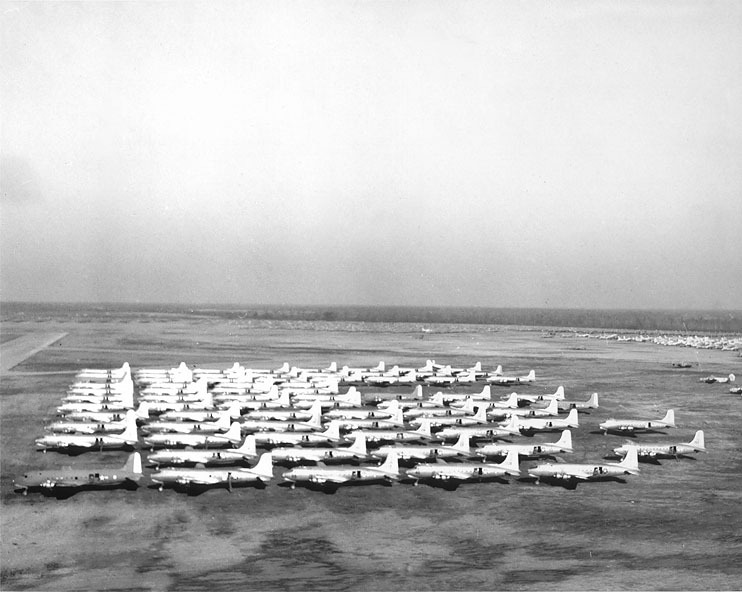 21,583 were lost in the United States in test flights, ferrying, training accidents, etc. 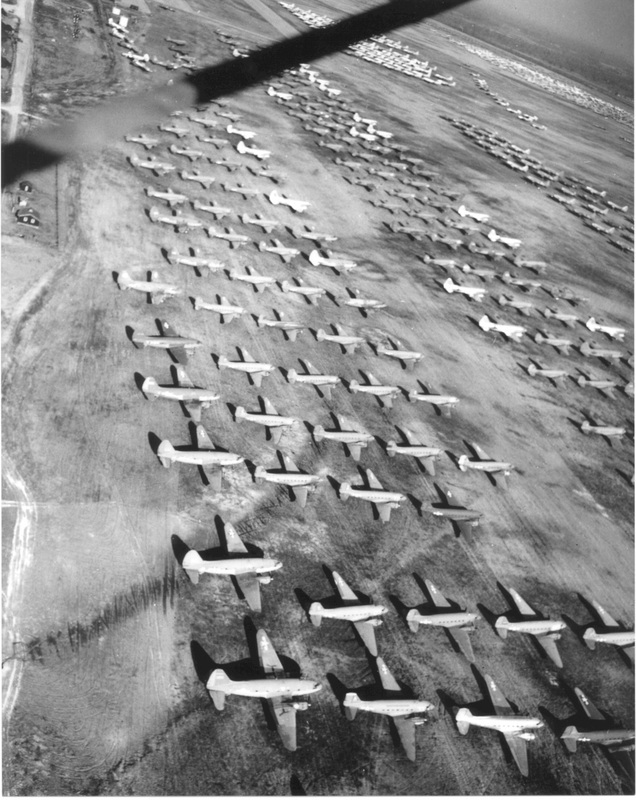 Another 43,581 were lost en-route to the war and in overseas operations. 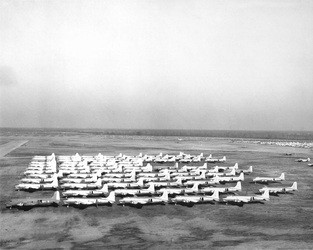 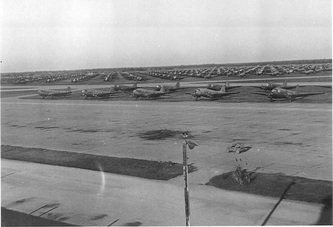 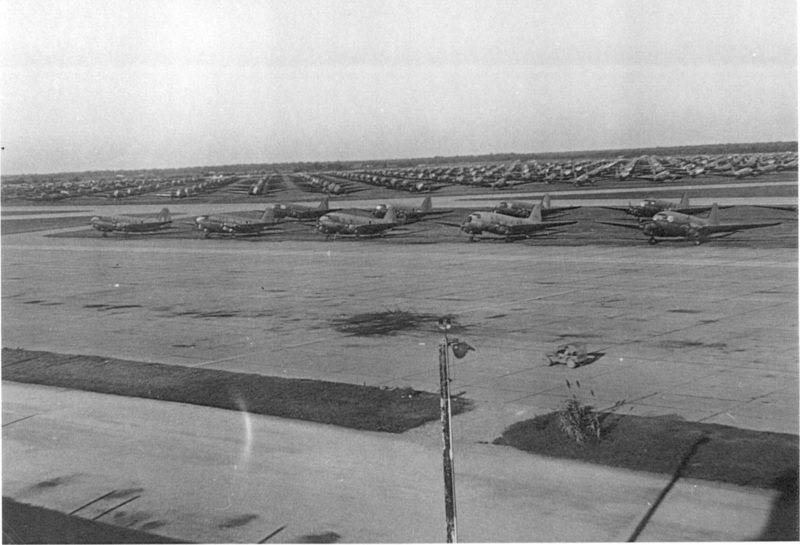 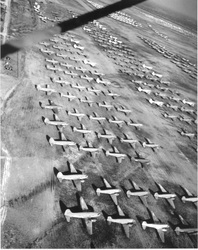 At the end of the war thousands of "warbirds" were flown to Walnut Ridge for storage, sales, and salvage. 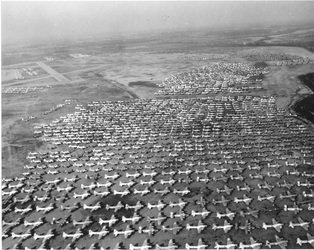 Some sources say as there were as many as 10,000; one book states there were 11,000. Most trainers and transport planes were sold, but there wasn't much market for fighters and bombers. 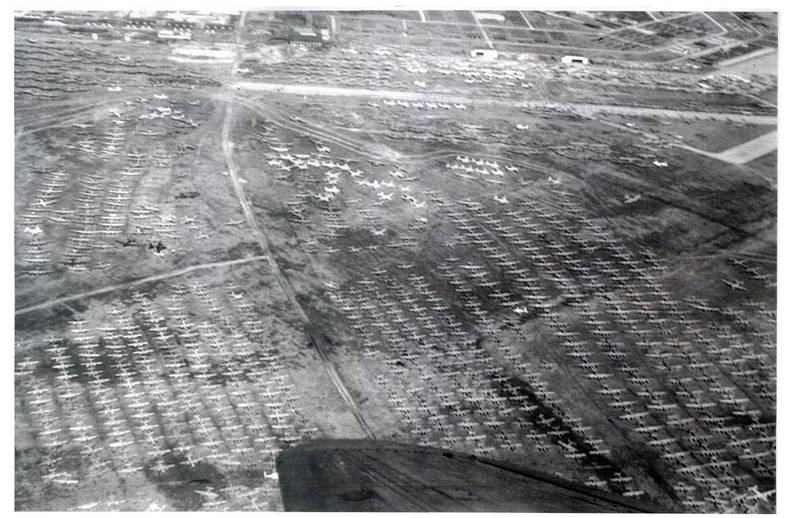 In September 1946, Texas Railway Equipment purchased 4,871 aircraft at Walnut Ridge for 1.8 million dollars. (Shortly afterwards, the U.S. Air Force purchased some spare parts from Texas Railway Equipment for 3.5 million.) 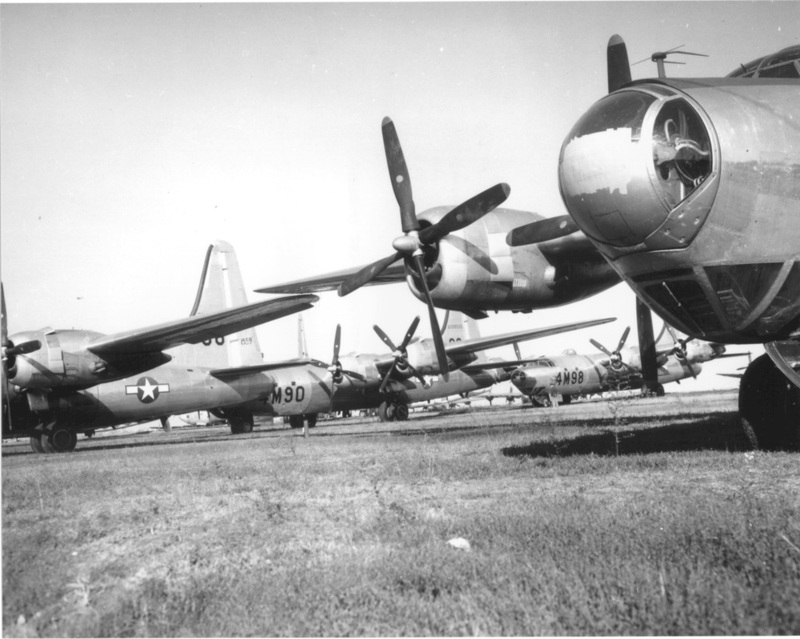 Over the next 18 months these were scrapped and melted into ingots... a sad ending for these beautiful "warbirds" that had played such an important role in winning the war.